I was told by the awesome Dubai stylist, Seema Adnan earlier that I need to add some colour to my wardrobe. SO… I’m now looking into it and discovering some cool stuff. I’m looking the Spring Summer 2014 of Veronica Etro who presents her vision of deconstructed elegance, where the simplicity of dressing contrasts with the detail of handcraft. The collection is rooted in an undeniable ease and lines of formality and informality blur, allowing for a new,relaxed attitude to emerge. While i don’t normally go for the look, I like that the clothing is showered in a rich layering of influences – from Etro’s own grandmother’s patterned book shelf and the exotic blooms of Indo-China to the precious metal work of the Ottoman Empire – that create depth and intrigue. 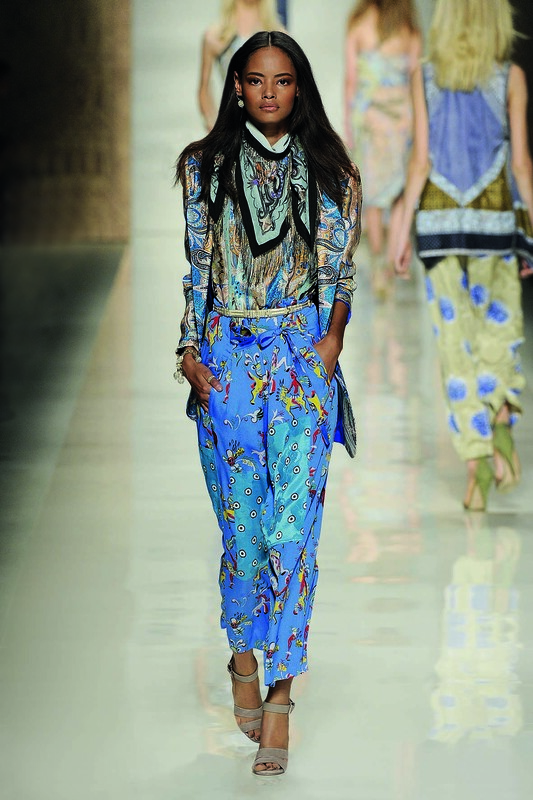 Etro’s unique assembly of places and times creates a voyage that is layered with exoticism, femininity and luxury, and that literally shines with summer’s optimism….looking at a few more clothes of what is in the new collection, I would say some of the pieces would work for different occasions, depending on the accessories and layers added.